If you are a parent looking for the best opportunity to maximize your child's athletic potential, we provide the resources to do so. At the high school level and beyond, what separates the mediocre athletes from the GREAT ones is work ethic. If your child wants to be a standout and get noticed, he or she is going to have to outwork their peers and be willing to do what everyone else is not. We provide expert coaching, an established record of success, and an absolute guarantee that our program is well above and beyond what your child will ever be provided with at their school facilities. Although they mean well, most sport-specific coaches have no legitimate background in strength and conditioning and leave it up to the athletes to follow a program on their own which usual results in this ---> typical HS weight room. 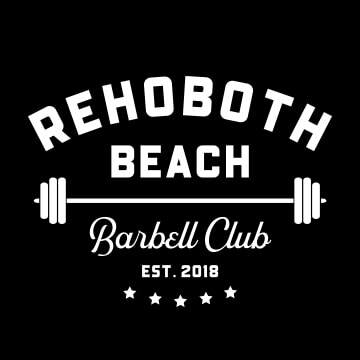 At Rehoboth Beach Barbell Club, your child will learn the essentials of weight training, how to fuel themselves through proper nutrition, and will be surrounded by a group of other dedicated athletes in their age group. The basis of our instruction centers around teaching proper movement mechanics as well as the importance of proper recovery and nutrition. Most teen athletic programs are one-dimensional and provide no legitimate nutritional guidelines (leaving the door open for improper use of and reliance on supplements, among other things). We instead aim to create an all-around athlete that will excel at any sport or physical task. Exercises utilized in this program require limit-strength, speed-strength, anaerobic threshold, core stability, strength-endurance, dynamic flexibility, grip strength, as well as the ability to move quickly while bearing loads. This method of training leaves the system better prepared to give and receive the unpredictable and unstable forces involved in combative and dynamic sports. Plain and simple, we are only willing to accept athletes who are dedicated to reaching their full potential and who understand that hard work is the only way to get there. We offer a 100% money back guarantee that in as little as 4 weeks your child will show dramatic improvement in strength, power, speed, mobility, and lean muscle development. Furthermore, the gains in confidence, leadership, self esteem, accountability, and integrity that your child will experience will pay dividends beyond just improvement in their sport. Being a part of this program is a major commitment. We only work with those who are going to make the most of our time, effort, and resources. Only the most highly motivated athletes who are going to contribute positive energy and help raise the bar for their peers are accepted into our program. With that said, we require an absolute minimum 85% attendance rate. Showing up late, complaining, making excuses, etc. is absolutely unacceptable here. Part of training here is learning personal responsibility, time management, and the true meaning of effort. Our program also requires a high level of commitment on behalf of parents as well. We need you to be supportive of what we do as coaches and understand that your child's success will be a long term journey. We’ll need your support to help your son or daughter with supplemental things such as following our nutrition guidelines and keeping up with their extra flexibility training to be done at home. In summary, we are dedicated to each athlete's success with the same passion as if they are our own children. We care genuinely about your child’s performance on and off the field, which is why we push our athletes to go above and beyond the norms.